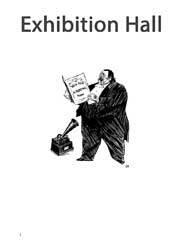 Exhibition Hall may be the first Steampunk fanzine! It’s dedicated to covering the Steampunk Explosion that’s going on around the globe and bringing articles on everything from fashion and music to literature and technology. It’s also jam-packed with art and writing from good folks around the world!